Disclaimer: The Audeze Mobius sent to us is a sample in exchange for our honest opinion. We thank the team at Audeze for giving us this opportunity. 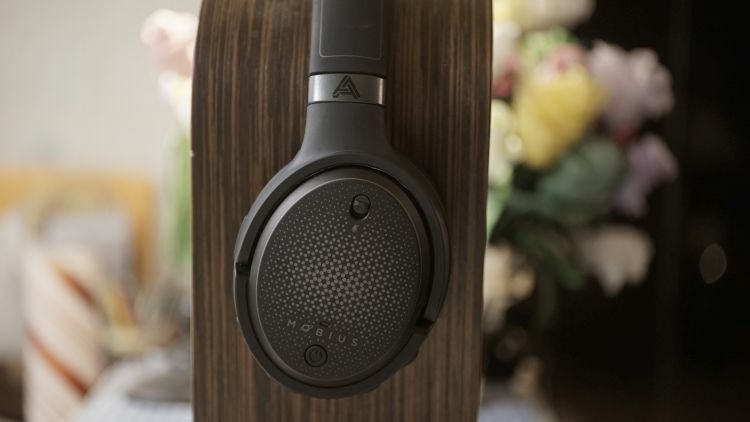 To read more about Audeze products we have reviewed on Headfonics click here. I’ve been a long time fan of Audeze, from inception to the current stardate. I don’t see that changing any time soon. 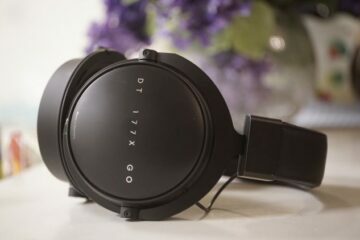 From the original LCD-2 and onward to the latest Mobius release here, I’ve stood behind them as one of the best new-age audio product companies in existence. 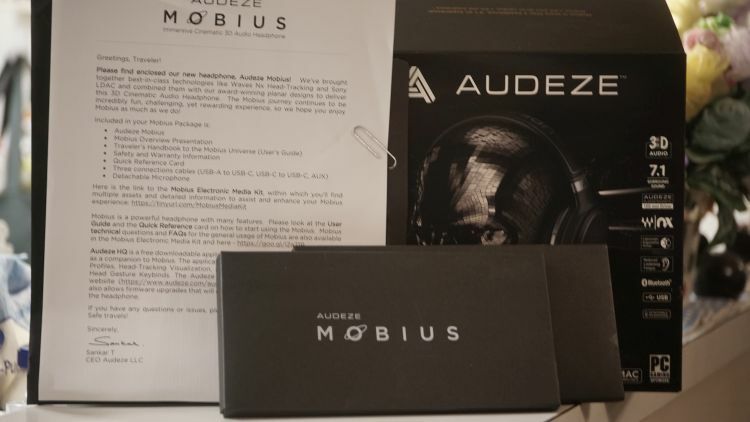 A big thank you to team Audeze for sending me a sample of the Mobius for this review, very appreciated. Let’s walk the plank and dive in, we don’t have time to waste here when I could be gaming with the Mobius and also dictating this review. 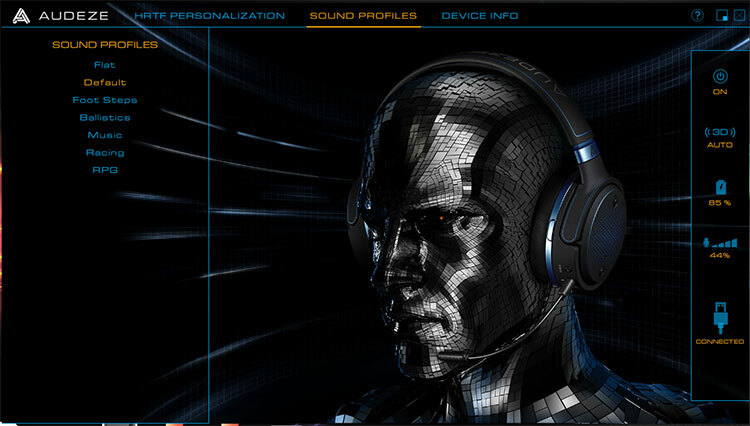 The headphone has a shape that I wish would be more conforming to the human head, something Beyerdynamic DT-series-ish. But, that is just me. The headphone is a bit heavy at 390g but more than comfortable enough to wear for extending gaming sessions. For those unaware, I am a former competitive FPS and Tekken/Street Fighter tournament player. I demand excellence when I play for hours and very few sets out there are not only of a high enough fidelity for me as an audiophile, but also comfortable enough to be used for those hours without any fatigue. Team Audeze delivers. Despite a little pressure on the top of my head, it is a relatively low-level annoyance and nothing at all into the realm of being uncomfortable. The headphone’s headband is twist-friendly and will more than likely survive a lot of abuse in that regard. The clamp factor is excellent, just right for me and something that I find to be moderate in caliper pressure. I don’t want a very light experience, I want them snug, but not painfully so. That is a hard medium to find and I think they did well. At least, subjectively, for my head. Being fully over the ear in design helps a lot with that, so too, do the Gel-pad options that cost a bit extra. I find them more supple and snug fitting than the stock pads. However, the stock pads are softer and more useful for long gaming sessions. Both of them get warm over the course of an hour or two, but not terribly so. Sadly, no velour options. Audeze is lacking here, the reason I mention this is because the Mobius is not defined by low-end quantity. Meaning, it isn’t a bassy sounding headphone. So I don’t see a need for a complete seal around the ear that leatherette pads usually offer. I’d love an immensely soft and breathing material, such as velour, for this headphone. The Gel pads are super high quality, don’t get me wrong, I enjoy them a lot. But, I’d much rather just have the stock pads and optional velours. I’ll get into why this is a thing for me, subjectively, in the FPS gaming section below. So, if you want to, you can take calls with various VoIP needs and I just need to take a second to thank Audeze for referencing step by step guides on their website for nearly everything you’ll need for setup of the Mobius. All of the configuration requirements are listed on their website in vivid detail. A great damned job there Audeze! Hardly anyone does that. Moving on. The Mic quality is just okay. I wouldn’t call it good. For the price, it sounds a bit better than a Zalman microphone and nowhere near my Yeti, of course. But, for gaming online? Nobody is going to care unless they are another Mobius or “good headphone user”. Odds are good the competition is using trash “gaming headphones” with bad quality to begin with, from your pick of any given “gaming headphone company”. Audeze puts them all to shame with this Mobius, so let us just get that out the way as well and tell it like it is. 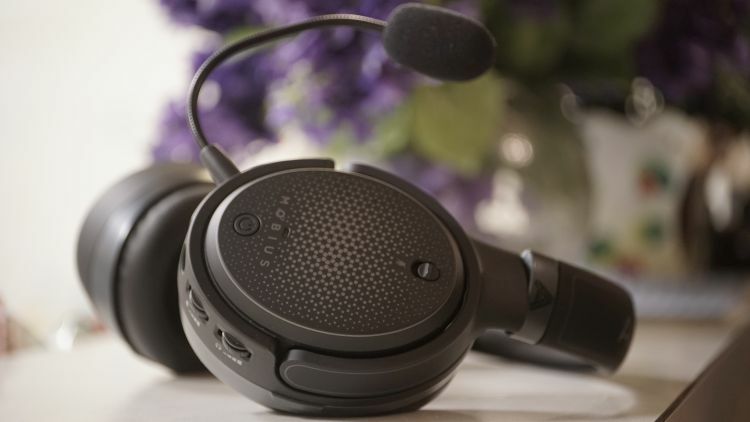 You will hear bad mic quality from other players online and through calls, made worse by the Mobius’s ability to relay fidelity much more accurately than said “gaming headphone” will. That means the bad quality mics out there will sound more awful than usual. They’ve also just recently started shipping the mic’s included with a pop filter. Originally, mine did not have one. The pop filter enhances the quality of the low-end presence by a small degree. Beyond that, I don’t find it too much of an intrusion on the experience without it. I certainly prefer using it. I notice the low end is pronounced a little more on my own recordings, as well as treble seemingly, at least to my ear, less peaky. This has nothing to do with anything but the simple fact that great headphones will showcase bad recordings and audio quality in a way that isn’t exactly enjoyable. For example, I use the famed ATH AD700 for FPS gaming and you almost don’t hear any low end at all. Voices are tinny. Gaming sounds are always lacking low end on that headphone. However, those same sounds through the Mobius, coming to you from other players, is going to feel more weighted and solid when that player’s mic quality is excellent. When it is not, it is not an enjoyable experience. It is made more tolerable by some headphones that I wouldn’t call accurate, headphones that greatly exaggerate low end and add a lot to it, such as my JVC SZ2000’s. This would be fixed and more enjoyable if Audeze can deliver more low-end to the standard experience while gaming. Some of that high pitched nonsense coming from other players is broadcasted to you, through the excellent sounding Mobius, in its full unearthly awful quality from beginning to end. And hours of it. This is why I tend to use very bass heavy headphones for games online that do not require much pinpoint accuracy. I still play Borderlands 2 often and I’d prefer to use the Mobius than my SZ2000 for a game like that. Any single player experience shines like no tomorrow on the Mobius too. The Mobius has different modes that you can activate via a click wheel on the left earcup. I prefer the warmest setting nearly at all times, which bumps the low end just a bit and tames icy tendency in shooter games when there is a lot of gunfire. It makes the experience a bit more smooth and enjoyable. The Mobius defaults in 7.1 and can be set to a 2 channel setting via pressing the mic button for three seconds, which opens up 2 channel and high res mode. The 7.1 mode – Maxes at 24/48khz and will show inside your USB host as an 8 channel sound card. Great for supported movies and media. The 2 channel mode – Maxes at 16/48khz. Lovely for Podcasts and YouTube in general. High Res mode – Maxes at 24/96khz, which will auto-disable surround sound capabilities. This is for Audiophiles and music listening, IMO. Bluetooth has a dedicated button which will pair to whichever device is broadcasting. The experience is, to say the very least, immaculate for a headphone. This is, without a doubt, the best BT sound on the market and it puts to utter shame the rest of the lot. I simply don’t have a single Bluetooth headphone that even comes close to the sound quality offered. 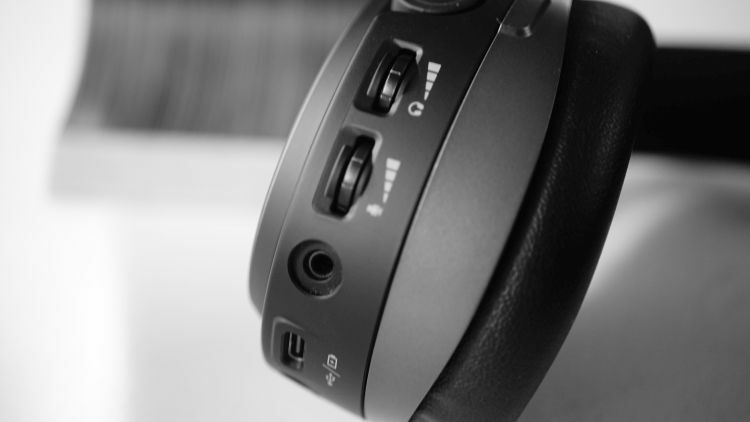 The 3D button is located on the front-facing left earcup side of the Mobius. This feature, powered by Waves Nx software, has two settings, Auto and Manual tracking. This experience is so very odd. Sometimes I love it, sometimes I really hate it. It will simulate a speaker setup in front of you, however, that is where things get really funky. This tech will auto locate the direction you are looking and if in manual mode, it will keep that direction where the speakers are broadcasting from to the earcup virtually. Meaning, look at your monitor and turn it on Manual and you will only hear either 7.1, 5.1 or 2.0 while looking at that monitor (or any direction specifically you start the function with). From there, look to the right and all of the audio will flow seamlessly to the left earcup…as if the monitor itself were emitting the audio. And vice versa. Tilt your head up or down and the same attempt is made to flow the audio from the original source direction. In auto mode, the 3D effect will originate from X direction while you activate it, and then slowly flow to whichever direction move your head to. This means if you look south, for example, and activate auto 3D, the audio flows from that direction until you look eastward. While you do that, the audio will shift as if it is only coming from that one direction and then slowly creep into whichever direction your head is currently facing. 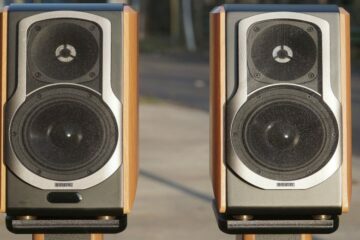 As if the speakers were on wheels and wheeled in front of you from another position. The experience is kind of awesome and vividly unique. 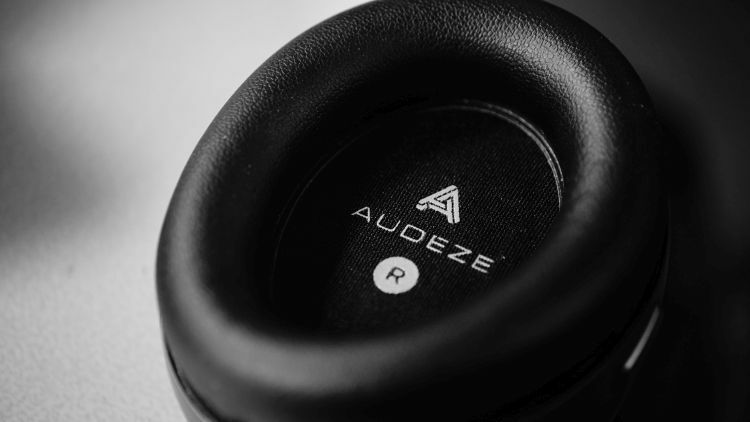 Audeze has included a user-controlled app to dictate all of the above functions and tailor things to your user preferences. Play with it and see what you come up with. You don’t have to press physical buttons to do some actions with the headphone while on your PC. You can use the software to enable and disable features on the fly as needed. I don’t want to get too into this, because the routing of all the specifications for these apps is beyond absurdly open and suited to ease of use. It speaks for itself. If you want manual app-based control, download the app and link it to your Mobius. It is super easy and great if you like swapping sounds and looking to refine the 3D functions to your preferences. I could write.a manual on just this section alone but thankfully Audeze has a guide for it all on their website. Audeze made sure to include a solid little box here for the Mobius, great fabric interiors with lots of cushioning. Yay. Odds are good you won’t be playing with the box, though, so I am glad they didn’t go overboard here. They’ve tossed in some serious manuals, and I mean serious. These are the best quality material manuals I’ve ever seen for a midtier headphone. They are supremely heavy and dense feeling. Wow, Audeze cares about the functionality of the Mobius, no doubt about it. There are a bunch of functions available with this headphone, each of them was detailed in these booklets. For an extra $24, you can grab yourself an official Mobius headphone stand (sorry, I didn’t get one, so I can’t say anything about it really) which brandishes the name of the headphone on its base. Beyond that, you can also purchase a hard carrying case, or new Gel based replacement pads, both for $39 each. Thank the audio deities that Audeze opted for a normal 3.5mm connection into the earcup. I cannot thank you enough for this, seriously. From the bottom of my heart. I can use some custom cables on this, so long as the termination heads are relatively thin.